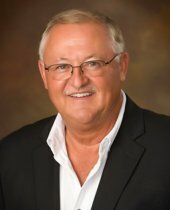 After graduating from Mississippi State University with a Bachelor's degree in Forestry and Wildlife Management, Randy spent 43 years in land & timber acquisition, management, and sales. He migrated to comprehensive Recreational Development which includes lake and lodge design and development, plus land use practices including conservation easements, government programs, forestry, wildlife and habitat and fisheries management. Randy is very passionate about his recreational work. Randy enjoys working with both buyer and seller to find the right property!